I’m usually very regimented about my writing schedule and typically wake up at about 5Am and start writing until 10 AM. There have been times, however, where I’ve spent an entire day in my study working on a novel. Little do these friends know the kind of dynamic journey writers go on in their work. MORE: Help – My Partner Won’t Let Me Write! 6) How does it all end?? 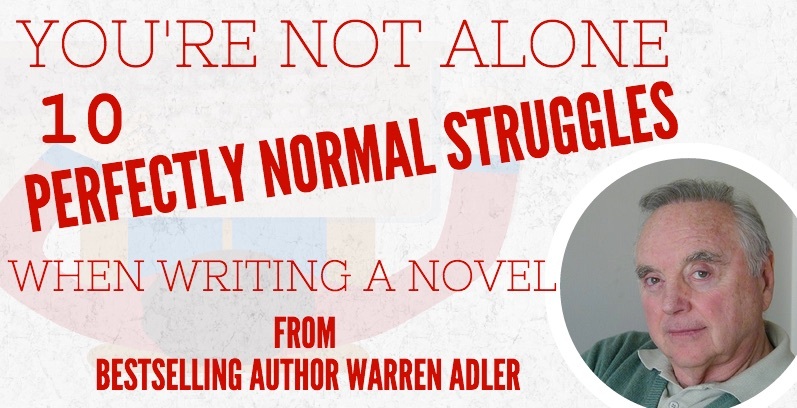 BIO: Warren Adler is the author of 39 novels. Currently in development for Adler is the Broadway production of The War of the Roses as well as the Hollywood sequel, The War of the Roses: the Children. Other projects include Capitol Crimes, a television series based on Warren Adler’s Fiona Fitzgerald Mysteries, as well as a feature film based on Warren Adler and James Humes’ WWII thriller, Target Churchill. Adler’s newest novel, Torture Man is slated to be released in Fall 2015. Visit his website, HERE.